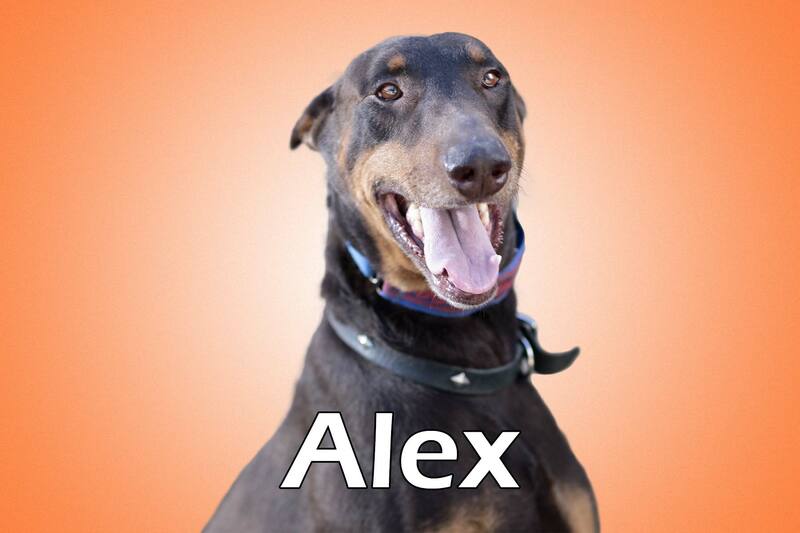 Alex was picked up by Animal Control while walking down the road, apparently abandoned by his owner. He had no microchip, but proved to have been a house dog at one point. He's trained, sweet, and gentle. His lopsided smile makes him all the more loveable.